For me, bark is usually something that I don’t make until Christmas. 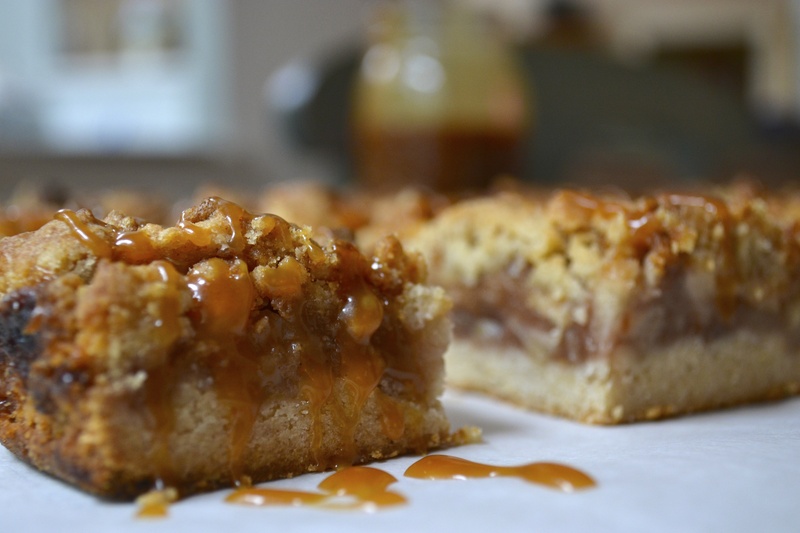 It makes a great gift, and is always a quick and easy treat to whip up at the last minute during all of the holiday craziness. Melt some chocolate, let it set, sprinkle on toppings. That’s all it takes. 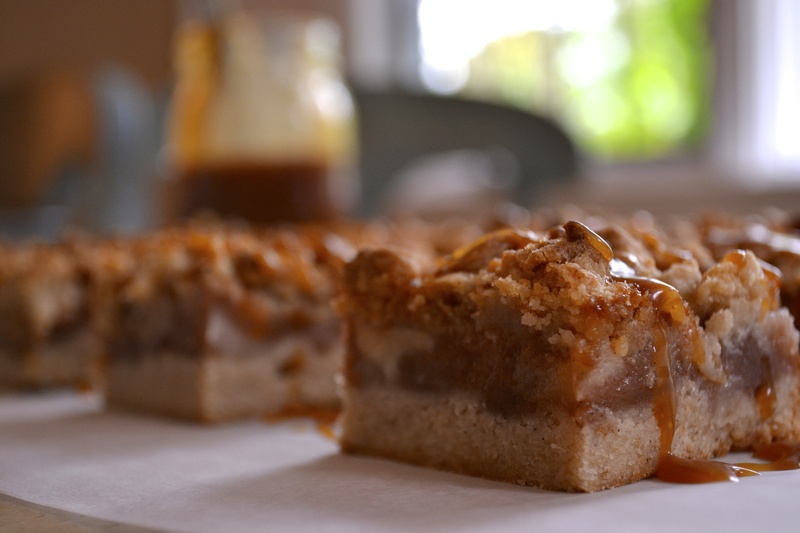 Perhaps the best thing about bark, besides the fact that it is delicious and easy to make, is how versatile it is. 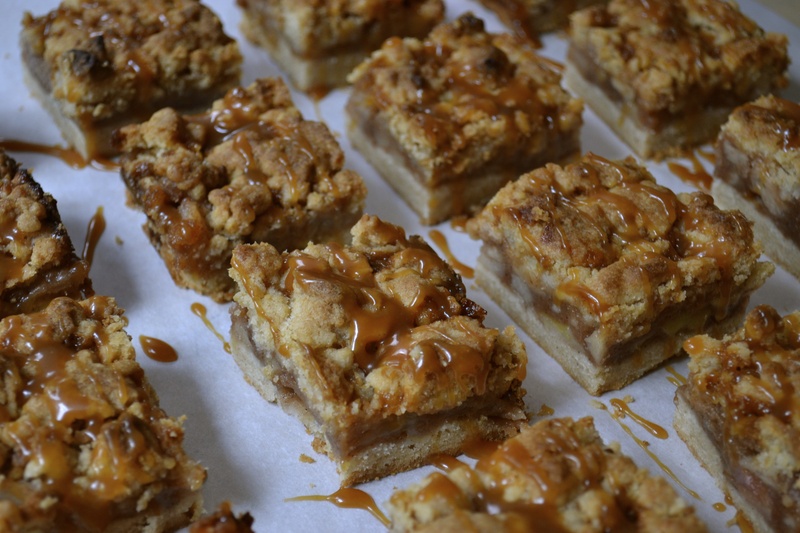 Basically, you can make bark with any kind of chocolate and whatever toppings your heart desires. 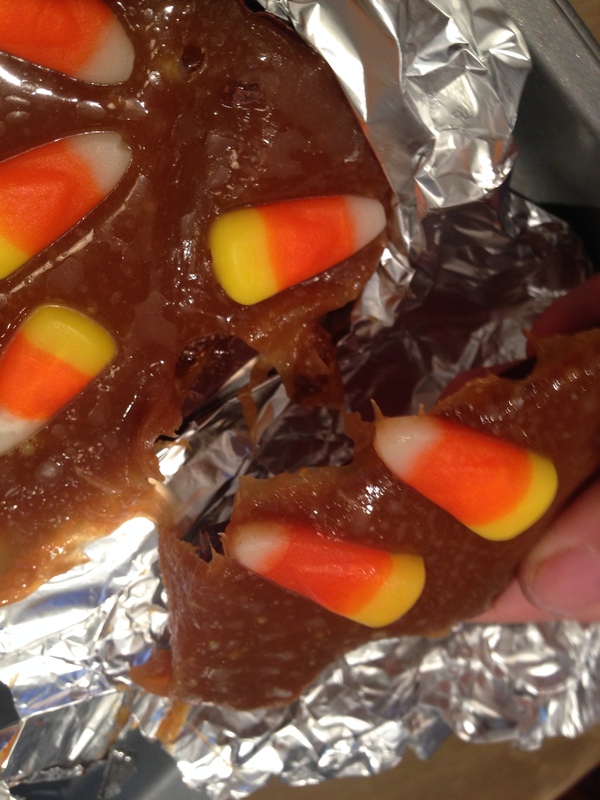 I love salted caramel and I love candy corn, but I couldn’t think of a way to combine the two. And then it dawned on me- bark! Make it into bark! So I did, and the result was perfection. I used milk chocolate for the bottom layer, homemade salted caramel for the middle layer, and of course, candy corn on top. 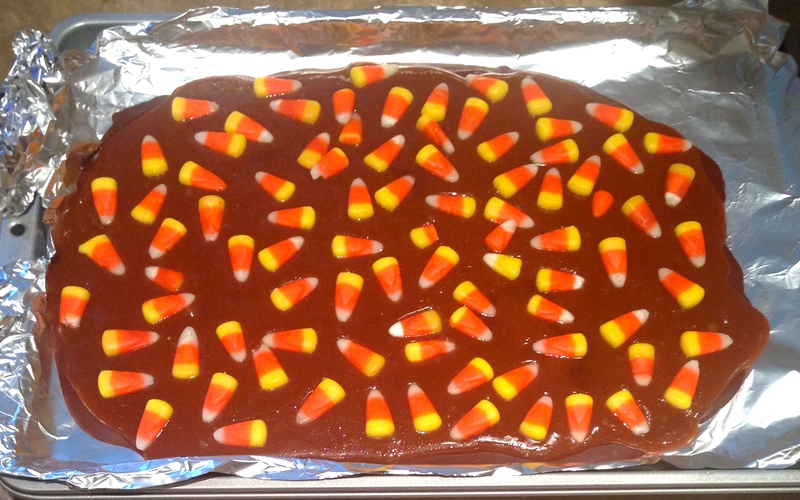 The sweetness of the candy corn was offset by the saltiness of the caramel, and the smooth milk chocolate layer balanced out the chewy caramel and crunchy candy corn. This bark is definitely my new favorite Halloween treat. Line a 9×13 baking dish with aluminum foil. Make sure that foil is hanging over the sides. Set aside. 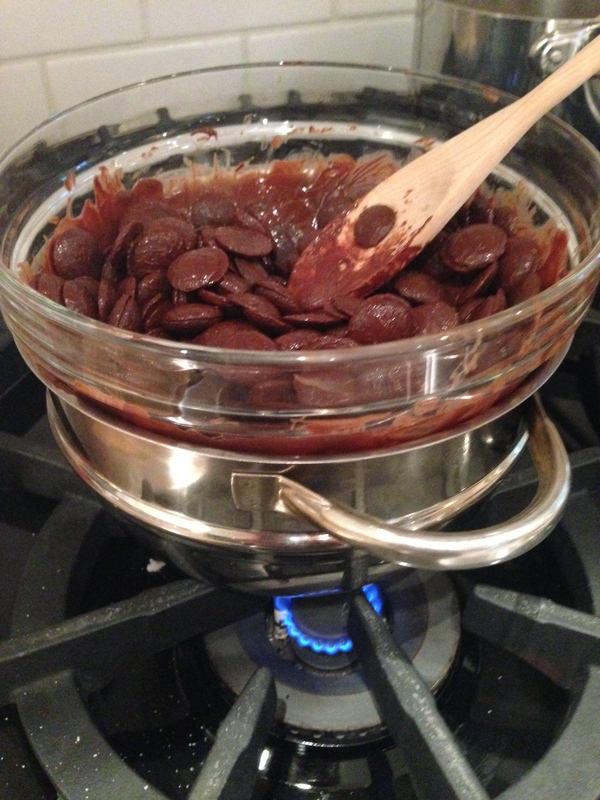 Melt all but 3/4 cup of the chocolate in a large heat-proof bowl over a small saucepan of simmering water. Stir using a wooden spoon until melted, heating in intervals of 10 seconds on the heat and 20 seconds off. This may take time, but you really want to make sure that you do not burn the chocolate. 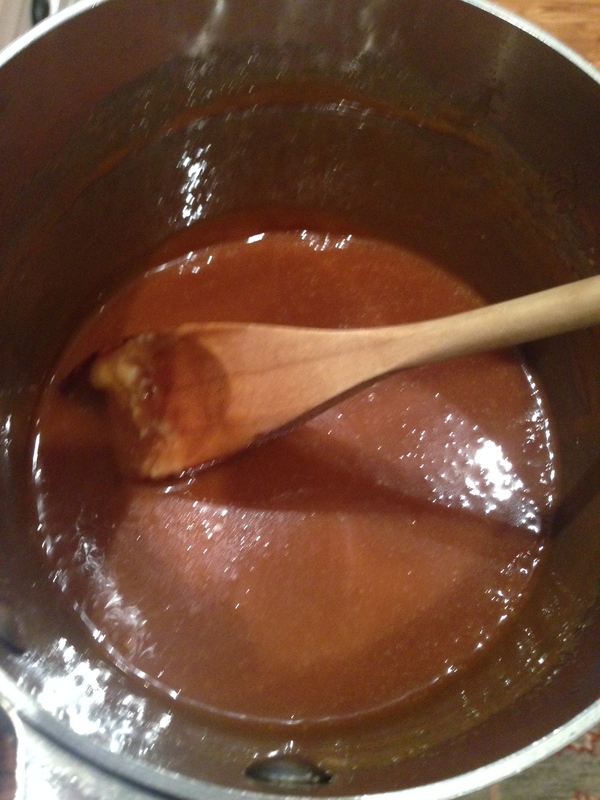 Once it is all melted, remove from heat and add the remaining chocolate into the melted chocolate. Stir until all of the chocolate is melted. Pour all of the chocolate onto the foil in the baking dish. Using a spatula, spread out the chocolate across the bottom of the dish. 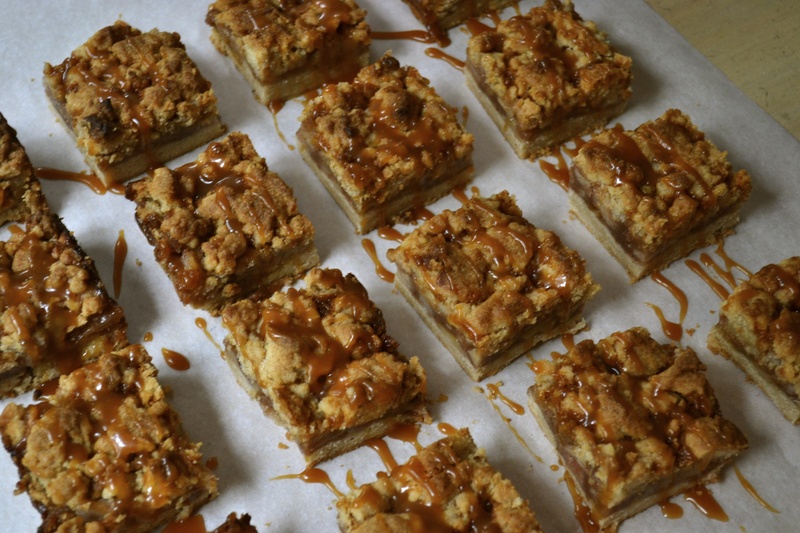 Allow to set for 30 minutes at room temperature. Do not cheat and put it in the refrigerator! This will cause the chocolate to become too hard. 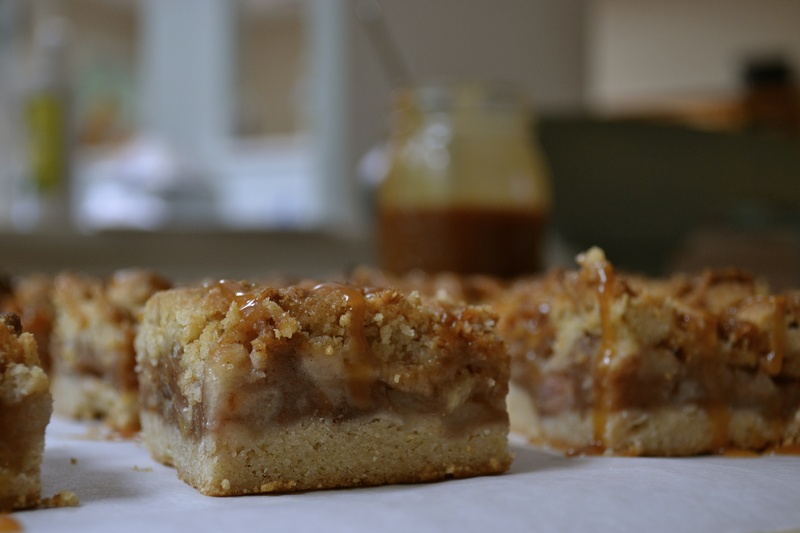 During this time, make the salted caramel! Heat granulated sugar in a medium saucepan over medium heat, stirring with a wooden spoon to ensure that the sugar does not burn. 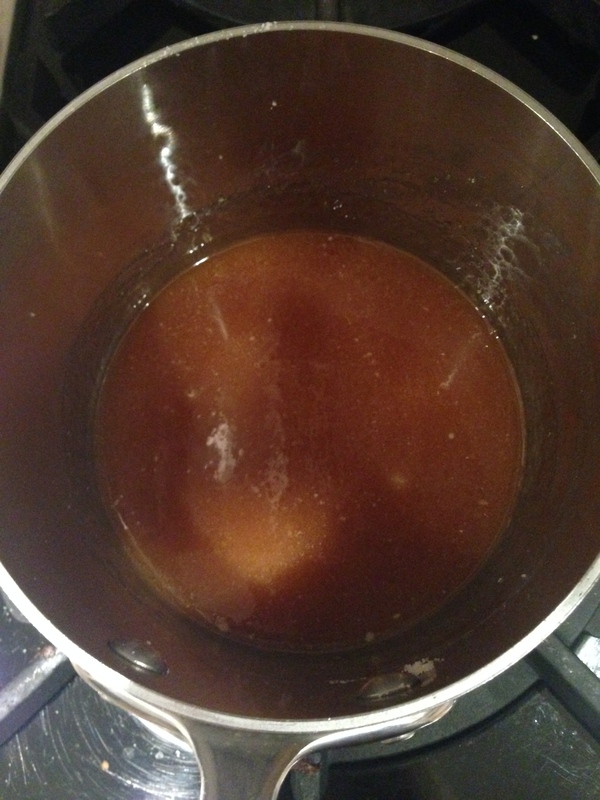 The sugar will eventually form clumps and turn into an amber-colored liquid as you stir. 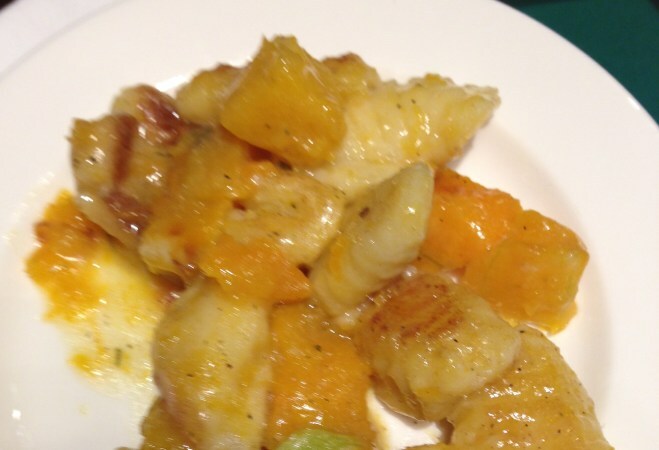 Once the sugar is entirely melted, add the butter immediately. Be careful! 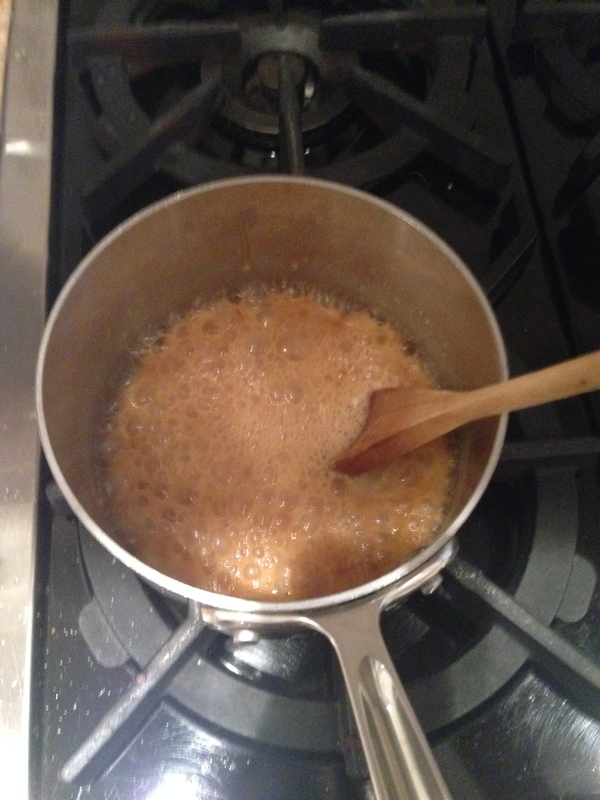 The melted sugar will boil rapidly once the butter is added. 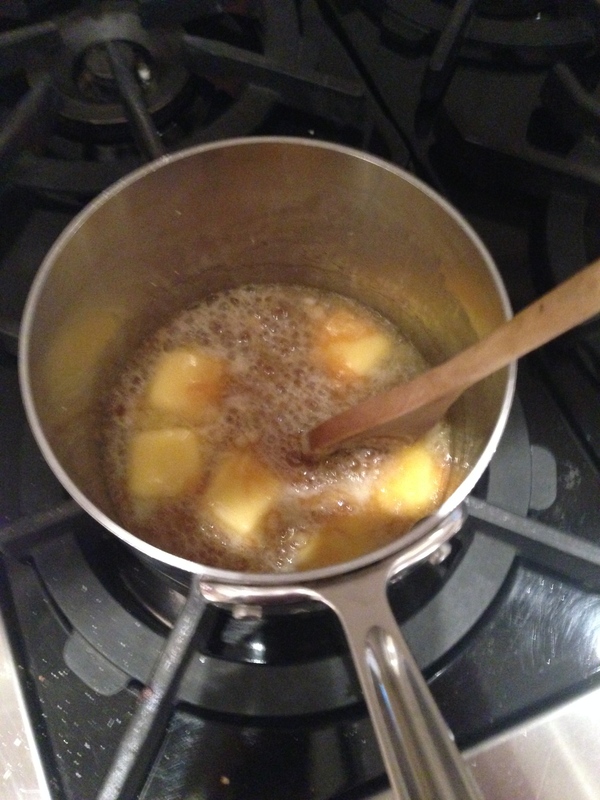 Stir the butter into the sugar until it is completely melted, about 2-3 minutes. Very, very slowly, add the heavy cream. Again, the mixture will bubble vigorously and may splatter, so be extra careful. Allow to boil for 1 minute. The mixture will rise in the pan as it boils. Remove from heat and add the salt. Stir. Allow to cool before using. Once the salted caramel is cool, pour over the hardened chocolate layer (make sure that the chocolate layer is hardened before adding the caramel!) 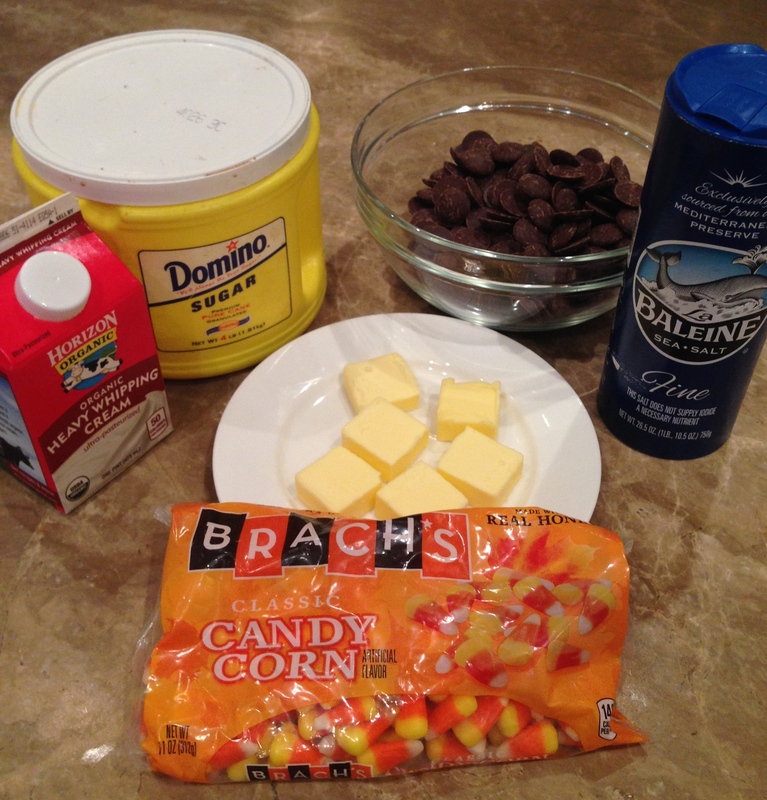 Immediately sprinkle the candy corn over the salted caramel, pressing each individual corn into the caramel. Allow the bark to set for 30 minutes to an hour. Enjoy!